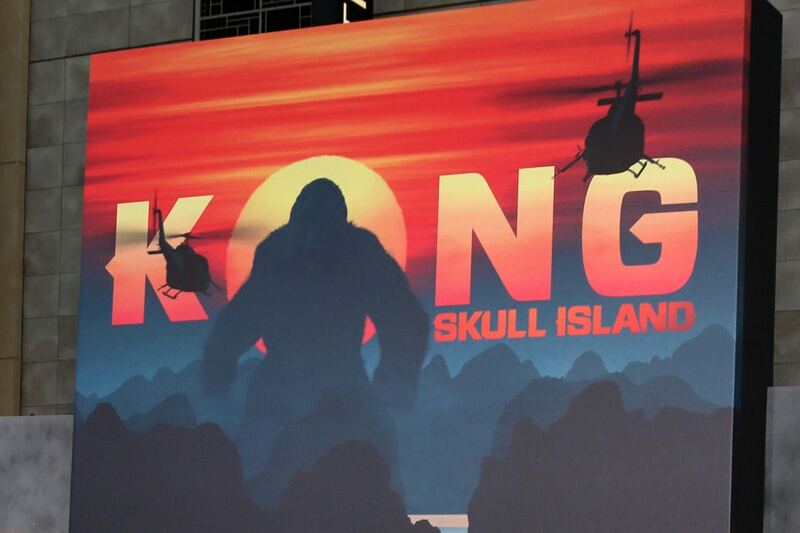 It’s always interesting to see what strategies companies will employ to promote their products – and we’re particularly fond of this experiential marketing campaign for new film Kong: Skull Island, which premiered in the US a couple of weeks ago. According to AdFreak, giant ape footprints have popped up in various places around LA, including Dockweiler Beach (with huge 25ft by 12ft prints appearing in the sand), Capitol Records (where crushed vehicles were left in a car park) and Microsoft Square at LA Live (where 3D vinyl and chalk were used to draw out a set of Kong’s prints). Footprints were also found in Runyon Canyon (home to the infamous Hollywood sign). Those in charge of the PR stunts also successfully combined them with online activity, with Kong locations featured on Waze and a Kong Was Here icon popping up on the map as people passed by. Similar campaigns have been run for other movie promotions, like Ghostbusters. Last year, London Waterloo station was transformed as part of a PR stunt for the film, with green slime dripping from the ceiling and a pop-up shop selling Ghostbusters merchandise, as well as a giant Marshmallow Man Stay Puft. Again, the real world and the online world were brought together, with people encouraged to take photos and selfies of the stunt to share on social media using the hashtag #ghostbusterswaterloo. These days, it’s essential that you do combine technology with your real-world campaigns if you want to maximise your reach and really get people talking… so make sure this is included at the planning stage each time.